In Japan , Yahoo Auctions are king. Ebay is a smaller lesser online auction in Japan. Yahoo , used , to have online auctions here in the states, but the last time I checked, they discontinued them. So it doesn't look good, if you want to try and buy a GT-R for MSRP. If Japan is having some crazy markups/ second sales , whats going to happen here in the US ? The hype for this vehicle doesn't look like it will calm down anytime soon. It doesn't look like there will be any "after Christmas" discounts either as the prices just keep on climbing. Today on Yahoo! 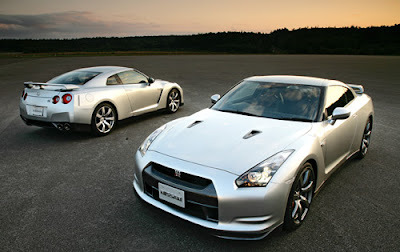 Auction Japan, the largest online auctioning site, the GT-R is being auctioned at $100K to $114K for the premium editions.